NBC and ABC split Monday with their respective hit reality competitions, though third-place CBS must be pretty pleased to see “Scorpion” jump in its finale. For fourth-place Fox, the season-ender of “Lucifer” didn’t get said boost — it stayed flat overall versus last week. NBC was first in ratings with a 1.9 rating/6 share in the advertiser-coveted 18-49 demographic and second in total viewers with an average of 8.3 million, according to preliminary numbers. “The Voice” at 8 p.m. ET earned a 2.1/7 and 9.6 million viewers. At 10, “Blindspot” posted a 1.4/5 and 5.7 million viewers. ABC was second in ratings with a 1.5/5 and first in viewers with 9.9 million. “Dancing With the Stars” at 8 p.m. ET scored a 1.8/6 and 11.7 million viewers. “Castle” at 10 received a 1.1/4 and 6.4 million viewers. CBS was third in ratings with a 1.3/4 and in viewers with 7.7 million. “Mike & Molly” at 8 p.m. ET had a 1.3/5 and 6.9 million viewers. 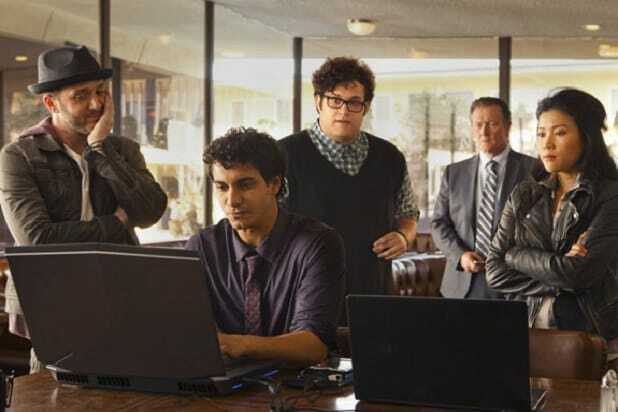 Following a rerun, “Scorpion” at 9 put up a 1.6/5 and 8.8 million viewers. At 10, “NCIS: Los Angeles” got a 1.2/4 and 7.8 million viewers. Fox was fourth in ratings with a 0.9/3 and in viewers with 2.9 million. “Gotham” at 8 p.m. ET settled for a 0.6/2 and 2 million viewers. At 9, “Lucifer” received a 1.3/4 and 3.9 million viewers. Univision was fifth in ratings with a 0.8/3 and in viewers with 2.1 million. The CW was seventh in ratings with a 0.4/1 and in viewers with 891,000. “Reign” at 8 p.m. ET had a 0.3/1 and 955,000 viewers. At 9, “Jane the Virgin” got a 0.4/1 and 827,000 viewers. With 217 names on the "Twin Peaks" cast list, it can be hard to sort out the big ones. 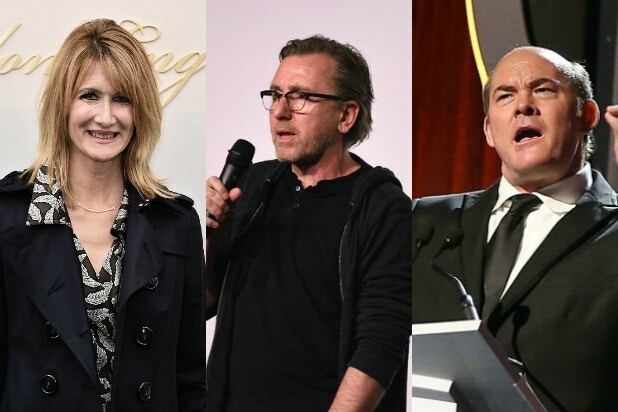 Here are 26 new cast members -- meaning they've never been in a "Twin Peaks" thing before -- who we think you're most likely to recognize. What you know her from: "The Matrix Reloaded," "The Passion of the Christ," "Spectre"
What you know him from: "Saturday Night Live," "According to Jim"
What you know him from: "Arrested Development," "Superbad"
What you know him from: "Lost," "Justified"
What you know her from: "Jurassic Park," "Enlightened"
What you know her from: Being a music star, "The Green Inferno"
What you know him for: "Mulholland Drive," "Jackie Brown"
What you know him from: "Ghostbusters," "Congo"
What you know him from: "X-Men: First Class," "Antiviral"
What you know him from: "Prison Break," "Transporter 3"
What you know him from: "Anchorman," "Final Destination 5"
What you know her from: "The Hateful Eight," "Anomalisa"
What you know him from: any new "Scooby Doo" things, "The Descendants"
What you know her from: "Skyfall"
What you know him from: "Friday the 13th" (2009), "Hansel & Gretel: Witch Hunters"
What you know him from: "24," "Revenge"
What you know her from: "The Innkeepers," "Cheap Thrills"
What you know him from: "The Hateful Eight," "Selma"
What you know her from: "Mamma Mia," "Ted 2"
What you know him from: "Paparazzi," "Dreamcatcher"
What you know him from: "The Butterfly Effect," "American History X"
What you know her from: "The Ring," "King Kong"
What you know her from: "This is 40," "Knocked Up"
‘Game of Thrones’ Ratings: How Epic Will Season 6 Premiere Audience Be?